Upcoming 2Q18 earnings season to be interesting; expect diverging trends across the banks. Focus for the 2Q18 results will dwell upon NIM trends (expectations are rife of ongoing uptrend in NIM), sustained loan growth momentum and robust asset quality. Higher dividends to be expected except for OCBC. Minimal surprise to be expected on NIM. On the whole, we would expect banks to see loan yields trending up as 3-month SIBOR averaged at 1.3% during 1Q18 (4Q17: 1.2%). Recall that it takes up to 90 days for a full re-pricing to take place. So 1Q18 SIBOR trends would reflect loan yields in 2Q18. Even then, the speed of re-pricing could differ across the banks. But funding cost trends may dent hopes of higher NIM for the quarter. Some banks had raised debt instruments during the quarter and could also see funding cost rise slightly. For UOB, its funding cost in SGD remains tighter given its higher SGD loan-to-deposit ratio vs peers. UOB issued some short-term debt during the quarter. OCBC continues to see the 1-month (loans) and 3-month (deposit) HIBOR gap causing NIM at OCBC-WHB to stay soft. Comparing the two, UOB should still see some NIM uplift but OCBC’s NIM might disappoint. Loan growth could be hit by weak trade loans; property-related loans should still be strong. With the ongoing trade war saga, there may be slight impact on the banks’ trade loans and loan-related fees. OCBC may see some weakness in loan growth due to softened trade loans. Comparatively, UOB should see strong loan growth q-o-q vs OCBC. Weaker market activities to weigh on non-interest income; expense trends still skewed towards personnel and technology. Wealth management income growth may moderate as equity markets navigated a tough environment in 2Q18. Furthermore, trading activities (treasury income) are likely to have seen weakness during 2Q18 given the overall soft and volatile markets. OCBC’s insurance business is unlikely to see positive surprises during the quarter after seeing weak trends in both total new weighted business premiums and new business embedded value in 1Q18. At best, we expect insurance contribution to show a flat-to-low single-digit growth y-o-y. Meanwhile, we believe the banks will continue to spend on improving the technology infrastructure. Some slight upticks should be seen in personnel costs for salary revisions. We believe that the overall asset quality at banks remains stable with new NPL formation reflecting that of 1Q18. With the oil & gas issues already being contained, credit costs should look closer towards the pre-oil & gas crisis levels. We now assume credit costs to range from 20-25bps across the banks. There could be upside surprises for recoveries from the oil & gas sector for UOB due to the accelerated provisioning made to utilise its general provision buffer pre-SFRS9/IFRS9. We expect OCBC’s credit cost to stay low. There may be stress for selected names in the water treatment sector but we believe the exposure is not large. At worse, this would show up in new NPL formation (new classification) rather than higher provisions. We expect UOB to still benefit strongly from growth in Thailand and Greater China, while weaker performance is likely to persist in Indonesia with higher provisions. UOB Malaysia’s performance is also likely to stay strong. In 1Q18, OCBC NISP’s NIM was under stress and we believe it is likely to have continued in 2Q18. Sustained interest rate hikes in Indonesian works contrarily for NIM. The competitive retail market in Hong Kong is also likely to exhibit stress on OCBC Wing Hang. Positively, OCBC Malaysia is also expected to deliver strong contribution with the exception of higher funding costs. A dividend-declaration quarter, UOB to shine. UOB had already hinted at a higher dividend payout after it declared its final dividend for 2017 (FY17: S$1.00). We expect at least a 40-Sct interim dividend to be declared for 2Q18. UOB is expected to formalise its dividend payout policy and its stance on scrip dividends this upcoming quarter. We expect an interim dividend of at least 19 Scts for OCBC with little expectation of any further upside as it does not have excess capital. Its insurance operations are still consuming high capital. However, once OCBC-WHB adopts the Internal Ratings Based (IRB) model for its capital by end-FY19, an additional 40bps of capital could be released. 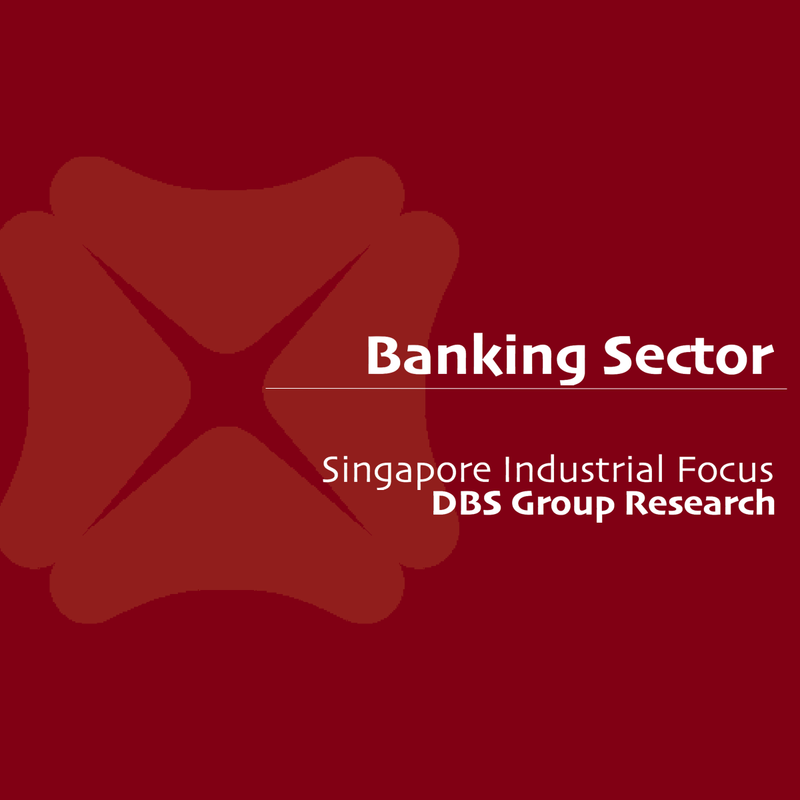 As at 1Q18, CET1 ratios for UOB and OCBC were at 14.9% and 13.1% respectively. Impact from property cooling measures not imminent in 2018. We believe that the impact from the new property cooling measures on Singapore banks is not imminent and likely to be seen only in 2019. We see limited impact on housing loan growth at least in the next few quarters, thanks to previous approvals as they draw down. Property developer loans may still be strong in 2Q18 but with the property cooling measure implemented in early July 2018, we would not be surprised if business loans had started to moderate gradually in 2H18. Pipeline of property development-related loans continues to be strong into 2019, but the property cooling measures might cause property developers to not draw down loans as quickly as initially expected. Note that the previous property cooling measures in 2013 caused mortgage growth to half from a high of 16% after a year; banks’ share prices did not correct sharply as business loans stayed strong. Circumstances may be different this time around as the business loan growth is largely driven by property developer loans. UOB’s loan growth is less affected by trade loans vs OCBC. Positively, both banks should see relatively benign credit costs. Sector has de-rated; limited catalysts ahead. From being over-owned to selectively owned, in our view, the banks’ valuations have declined to 1.2x FY18F BV from a peak of 1.4x FY18 BV a few months ago. Profit taking after a solid 1Q18 results, coupled with dampened sentiment arising from the recent property cooling measures caused the fall. Things to watch in coming quarters would include stronger- than-expected USD strength which will cause pass-through to SGD rates to be more significant and more-than-expected rate hikes, leading to NIM uptrends, sustainable loan growth (we have trimmed our loan growth to 7% for 2018 and 6% from 2019 following the property cooling measures), and robust asset quality and capital conditions.